We’ve collected their advice and best practices in various white papers, recorded customer presentations, customer success stories and interviews – and we’re sharing key highlights through this series of insights articles. All are applicable to any organization. So let’s get started! Today we’ll discuss five keys for introducing and establishing an analytics program in education. Secure executive leadership for data and analytical initiatives from the president and vice presidents all the way down to midlevel managers. They talk to employees about the need for using data for decision making, as well as model using it in meetings and other contexts. Executive leadership from the top down is vital as non-data people are often intimated by working with data and analytical reports themselves, which can hinder adoption. We want to make sure we build trust and that constituents know the data we are providing is good data. It’s going to be something we’ve put a lot of thought and effort into. Make sure that the data is of high quality, so people will have to believe in it, have to trust it, and also make sure that they understand it. To address these issues, find out what people truly need by performing a detailed needs analysis, and then scope reports based on your findings. Start by asking your users what kinds of questions they want to answer with the reports. Then create reports that help provide those answers. This approach will make your reports more usable, and perhaps uncover new and deeper questions that must be answered. 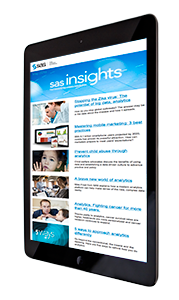 SAS Visual Analytics helps you unlock insights and improve efficiency throughout your organization. It provides an interactive user experience that combines advanced data visualization, an easy-to-use interface and powerful in-memory technology. It also allows a wide variety of users to visually explore data, execute analytics and understand what data means. 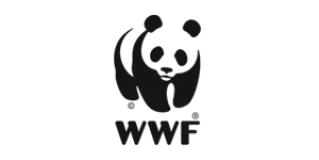 Then they can create and deliver reports wherever needed via the web, mobile devices or Microsoft Office applications.